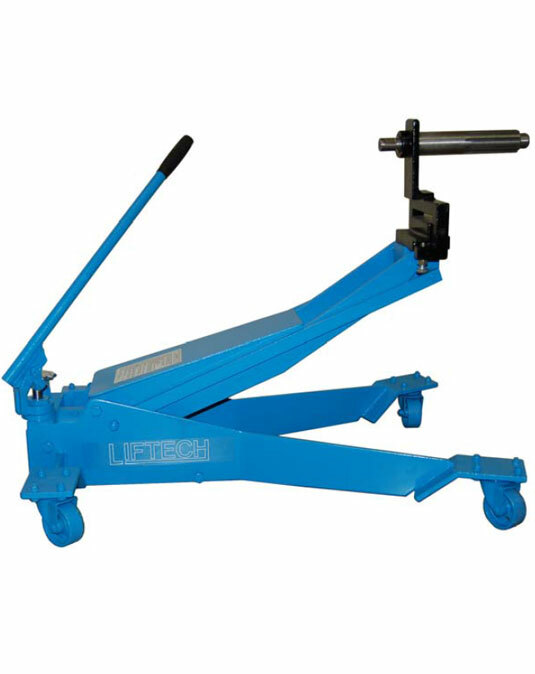 Specifically designed to lift in and out clutches & flywheels without the physical danger of carrying out the job without mechanical assistance. Travel the jack to the job in the closed position and only raise the hydraulics when the jack is positioned to fit the clutch. Locate the shaft into the spigot bearing and align and bolt the clutch. Special T bracket for R&R of all size flywheels. 3600 rotation handle and easy pump stroke. Loading of the jack is made simple by laying the input shaft back to vertical.